Contains 48 blank cards to include your custom messages for business and personal use. Happy birthday greeting cards in 6 fresh and attractive watercolor floral designs. 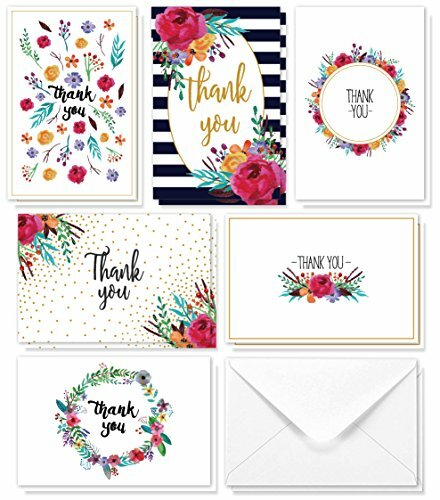 Each card is printed on high-quality card stock for elegance and extra durability. Includes 48 corresponding envelopes. Simply moisten to activate seal adhesive. BULK SUPPLY: Contains 48 blank cards to include your custom messages for business and personal use. View More In Greeting Cards.